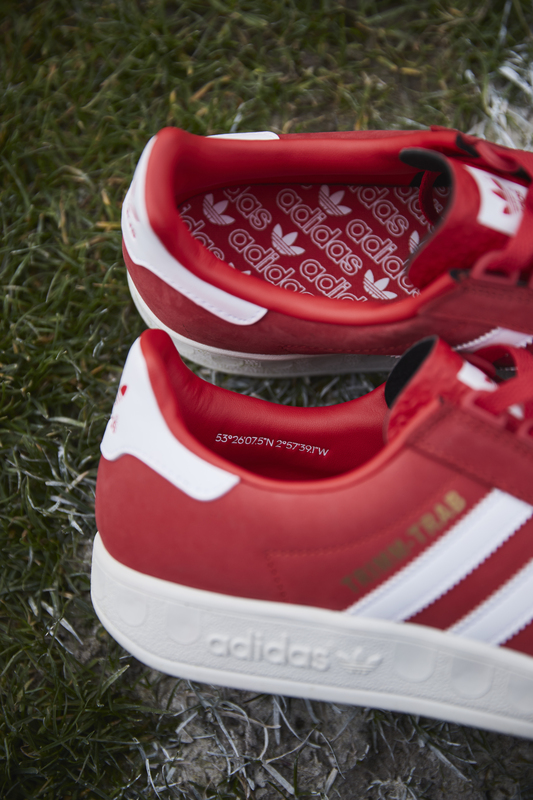 The adidas Originals Trimm Trab has always held a fond place in the heart of football fans. 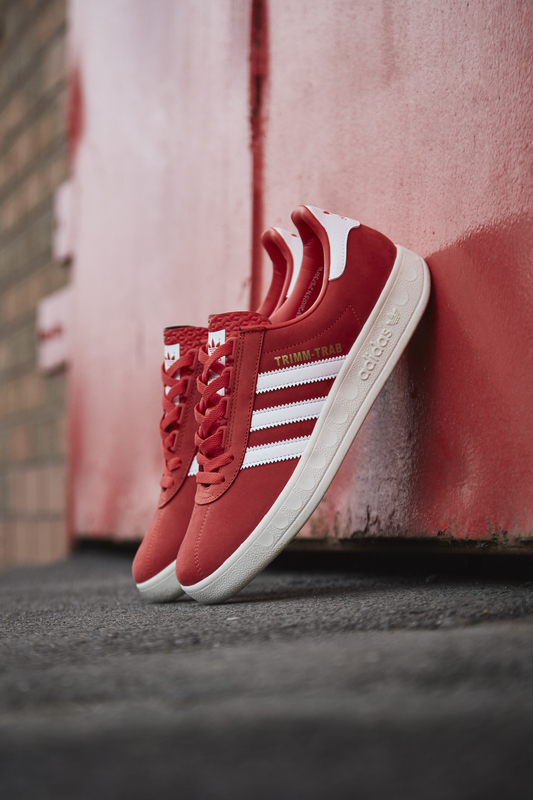 Initially released as a training shoe in Germany in 1975, the model quickly found its way onto the shores of the city in the ’80s when it was discovered by scores of football fans while travelling across Europe to follow their team. 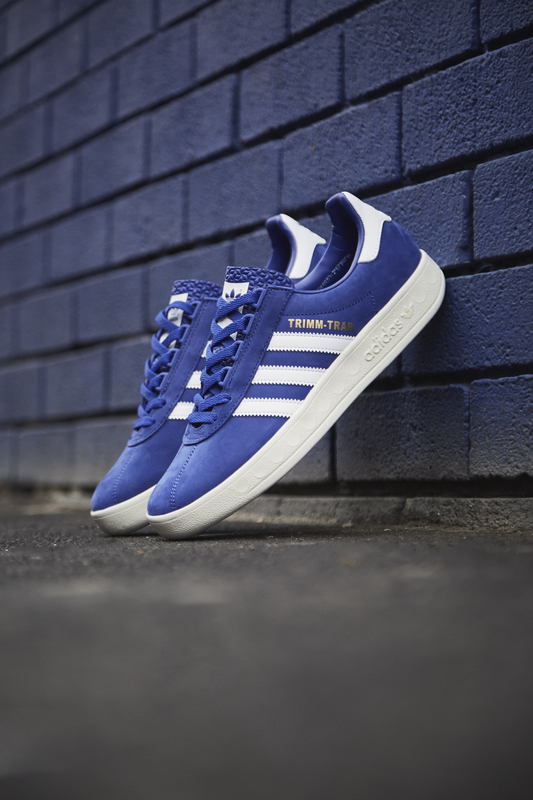 Showcased in the terraces across the UK, this latest Trimm Trab release is a fitting tribute to honour the footballing rivalries. 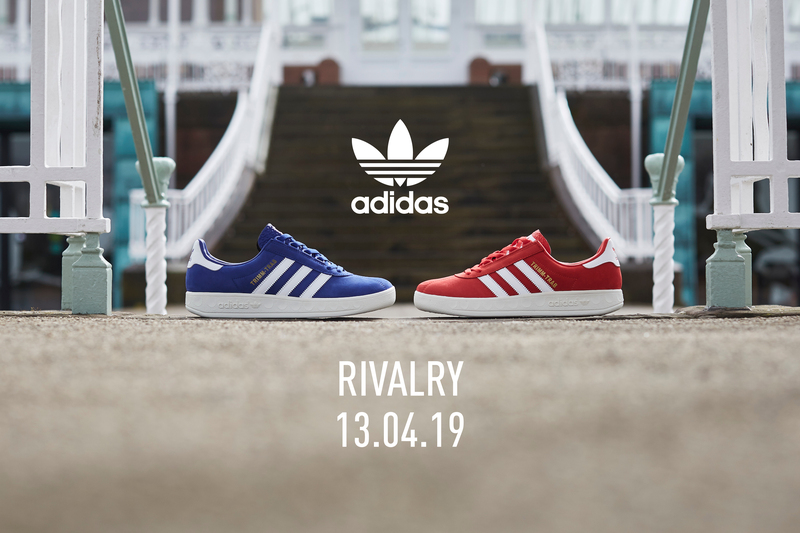 With derby days arguably being the peak of domestic footballing competition, adidas’ ‘Rivalry Pack’ nods to the one of the longest-running in the UK’s top-flight. Continuing to optimise all the classic features that have made the Trimm Trab so revered since its introduction, the timeless pair’s smooth nubuck uppers are adorned in two contrasting ‘Active Red’ and ‘Active Blue’ colourways, accented by serrated white leather three stripes. Cementing itself within the footballing world: the coordinates ‘53⁰26’07.5”N 2⁰57’39.1”W’ decorate the silhouette’s inside collar. 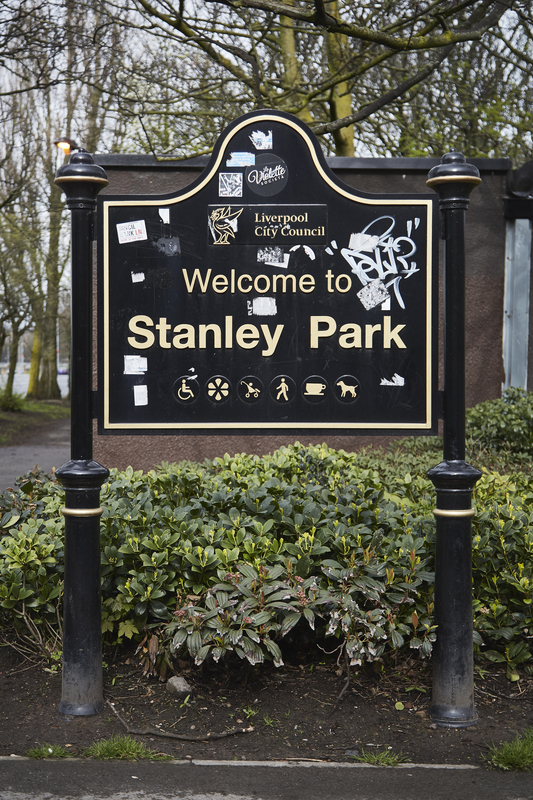 Situated slap bang in the middle of the city’s two largest football stadiums, the coordinates mark the centre spot of Stanley Park: an area of Liverpool that has a long-running history with both Red and Blue clubs with each team’s stadiums within a stone’s throw to the other. 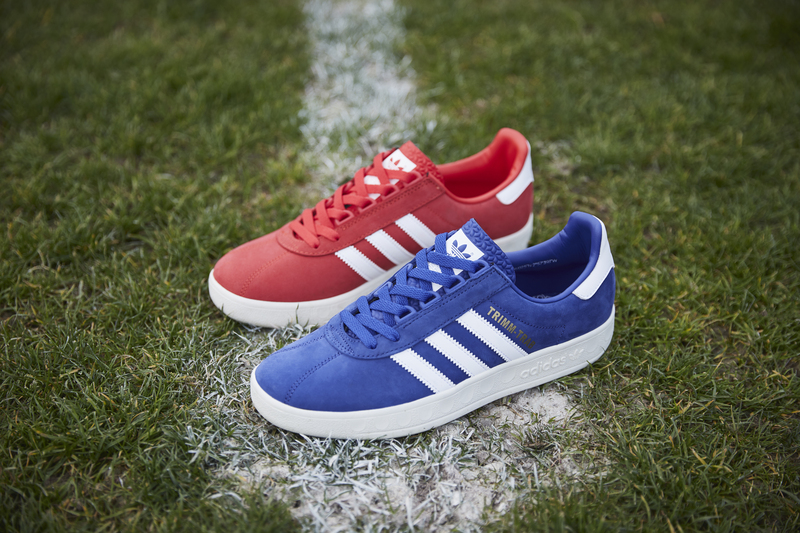 The adidas Originals Trimm Trab ‘Rivalry Pack’ Active Red & Active Blue will be available via the size? previews app and in size? stores on Saturday 13th April, priced at £75.